The Ballyea team that faced Thurles Sarsfields at Cusack Park in Ennis. They are looking for big performance to reach the All-Ireland. Photograph by Arthur Ellis. HAIL the Comeback Kings! 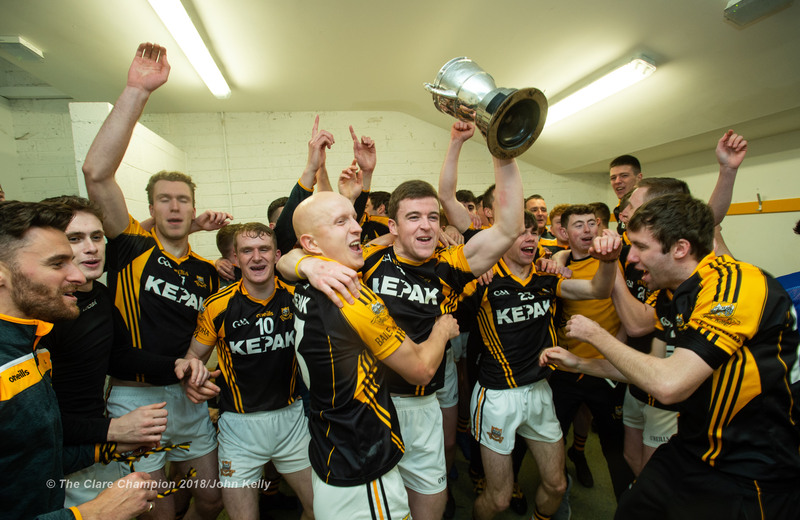 Ballyea’s fairy tale run to capture their first Canon Hamilton trophy and qualify for their maiden Munster club final has been fashioned with some unbelievable comebacks when all seemed lost. 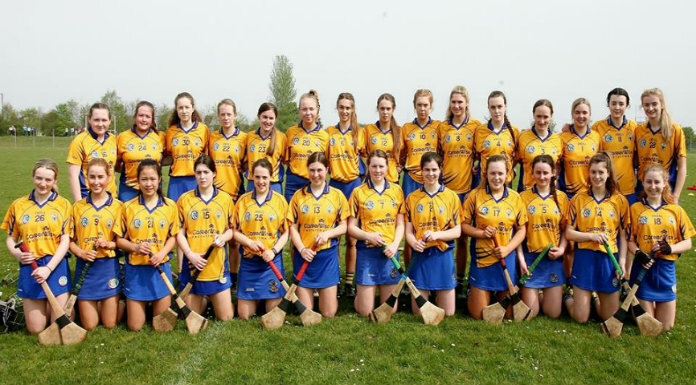 Having lost their first-round clash with Éire Óg, Ballyea had to win the rest of their games to remain in contention for a place in the knock-out stages. This was in sharp contrast to 2015, when the men in black and amber won their first two outings and advanced straight through to a quarter-final. Now in his third year as club chairman, Pat Moylan acknowledged that his charges have produced some extraordinary fight-backs this year during the championship, which culminated in an amazing late flourish to force extra time against Tipperary kingpins Thurles Sarsfields before registering a memorable two-point win. Ballyea GAA Club chairman Pat Moylan. Photograph by Arthur Ellis. “Ballyea went seven points down against Crusheen early on in that game. The lads dug deep and ground out a result. They did the same against Clooney-Quin to win by a point. Feakle was another tough game. “Nobody would have put us in this position at the start of the year. It is a case of taking one game at the time. Once Ballyea got into a winning run, the performances followed. 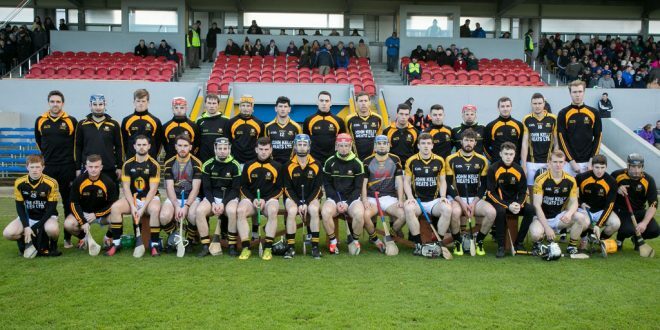 “With each game, Ballyea were playing better as a team. 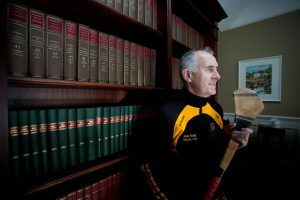 Ballyea have quite a varied bunch from hurlers and footballers and different age groups, including the more experienced members, like Kevin Sheehan and Gary Brennan, as well as young members and the non-county lads. “After winning tough games, Ballyea were gaining more heart and belief, even when they went behind, that they could come back. It has been comeback after comeback,” he recalled. The father-of-three recalled Ballyea’s ability to fight back was graphically illustrated against Thurles Sarsfields, when it looked like the game was gone beyond their reach several times. Seven points up with 10 minutes of normal time remaining and four points up with as many minutes left, Thurles looked home and dry. A Pa Bourke free then put them five points up shortly afterwards. However, Ballyea refused to read the script and hit back with two points from Pearse Lillis and Tony Kelly, before Clare footballer Gary Brennan forced extra time by crowning a 60m defence-splitting run with a superb goal. “Ballyea were walking on their toes and were pumped up going into the dressing room after normal time. I felt they were going to do something in extra time and they did. “There were about 2,500 spectators in the stand in Cusack Park, about half the crowd for the county final, but the noise was far greater than the county final and there was an electricity through the crowd. 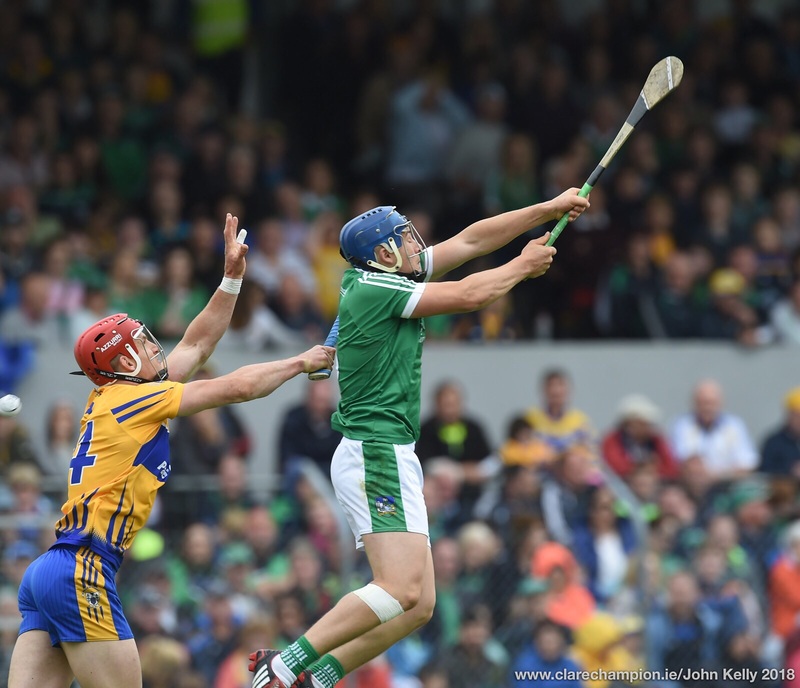 “There is nothing like a comeback on home turf against such a great team as Thurles Sarsfields, who have a great pedigree winning Tipperary championships and doing well in the Munster club scene. To find that Ballyea could compete with Thurles, draw them back from a lead to finish all square in normal time before beating them in extra time was ‘Roy of the Rovers’ stuff. “The nature of this win has given a huge lift to the club, particularly with Tipperary being All-Ireland champions ,” he said. Born and bred in Ennis, Pat married Sandra, who is a sister of team manager Robbie Hogan, and they have three children. Pat is also the principal solicitor at O’Kelly Moylan Solicitors, which he formed in 2007, with Eugene O’Kelly, who has since been appointed a district court judge. He really appreciates the time that Donal Kelly and senior players, such as Gearóid O’Connell and Tony Kelly, give to train the U-12 side, including his own son Darragh. “To be getting guidance from these lads is a dream. In a lot of sports, your heroes are on the television or Sky Sports. In GAA, you can meet your heroes on the GAA field. They are great role models for the kids,” he said. Chartering Ballyea’s rise to the top in Clare, Pat pointed out they weren’t classed as a senior A hurling team until 2004 and were a senior B side when they lost the A county decider to Clarecastle that year. Winning the senior B in 2004, Ballyea has spent most of its time in junior and intermediate championship during its 82-year history, which makes this year’s county final triumph over Clonlara after a replay all the more noteworthy. Ballyea has invested a lot of time and energy developing underage talent, which is now reaping rich dividends. Praising the work undertaken by Donal Kelly at underage level with most of the current Ballyea senior panel, Pat believes the consistency applied by Robbie Hogan, who has managed the team for the last five years as part of a superb backroom team, is a key ingredient to this year’s success. “Robbie Hogan is a great man manager. He can manage the different personalities and age groups, the players playing hurling and football and keep everyone ticking along towards the same goal. Fergal Hegarty joined us this year as coach. He is a very good influencing personality around a team. The team knows he has All-Ireland medals in his back pocket. They know when he talks he has done it all before. “He is a no-nonsense type of guy and he does everything professionally. The combination of himself and Robbie works very well. It is a dream team from a management point of view,” he said. Pat said it can take any management set-up a few years to settle in and get to know players, their schedules and how they react to various situations. While Cork champions have not enjoyed great provincial club success in recent years, Pat is very wary of the challenge posed by Glen Rovers. “Cork forward Patrick Horgan leads Glen Rovers’ attack and any frees Ballyea give away will be punished. Glen Rovers are in a similar position to Ballyea, as they weren’t favourites to come out of Cork but they are not in a final by accident. “Glen Rovers are a well balanced team, who are certainly a force to be reckoned with. The Ballyea defence will have to be solid and our key players, like Tony Kelly, Gary Brennan and Niall Deasy, will have to fire. “Ballyea can win but it all depends on how we perform on the day and how we deal with the occasion playing in Thurles. A lot could depend on how the nine or 10 non-county players on both teams react to the occasion,” he said.